Just back to Brighton from a short break, part of which (Saturday) I spent at Lords Cricket Ground watching Day 3 of the First Test between England and Sri Lanka. England had been put in to bat on the first morning and has wobbled early on, but had rallied strongy with young Joe Root scoring 200 not out as they reached 575 for 9 before declaring on Day 2. Sri Lanka batted, needing 375 to avoid the follow-on. The morning of Day 3 found Sri Lanka resuming on 140-1. Conditions were a bit murky and it drizzled for much of the morning, but not to the extent that it interrupted play. Sri Lanka, especially the excellent Sangakkara, batted with resilience and resourcefulness, as the England bowlers struggled to take wickets on a flat and rather lifeless pitch. The swing of Anderson didn’t threaten as much as I expected in the overcast conditions. The all-rounder Ali was reasonably tidy as a bowler but didn’t cause many alarms, though he did take the wicket of Sangakkara. Broad and Plunkett were fast and aggressive but the latter was a bit unlucky only to take one wicket. 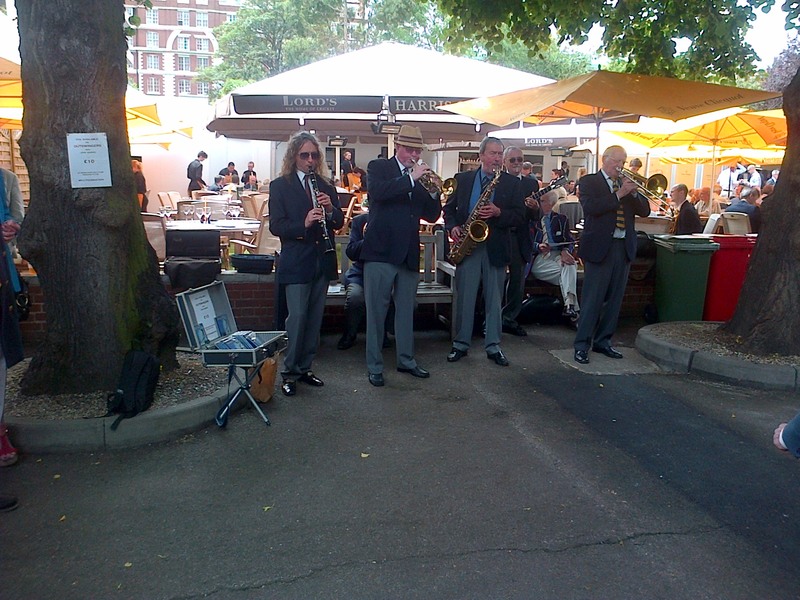 Fortunately at Lords there are plenty of distractions during the intervals or when the cricket is slow, including jazz from The Outswingers and a school band at lunchtime. The batsman passed the follow-on target for the loss of only six wickets and as I headed from the ground the game seemed to be heading for a high-scoring draw. Sri Lanka were eventually out for 453 on Day 4 and England, batting again, wobbled again, in deep trouble at 123 for 6. A fine hundred from Ballance and some good batting from the lower order took them to 267 for 8 at the close, a lead of 389. England declared overnight. There was talk about Alastair Cook’s captaincy over this, some suggesting he should have declared earlier. For what it’s worth I would have done exactly what Cook did. Sri Lanka are a good batting side, and well capable of scoring 300 in a day on such a good pitch. So Day 5 saw Sri Lanka needing 390 to win off the 90 overs to be bowled or, more realistically, to bat all day to draw the game. They showed no inclination to go for the runs but batted well defensively for most of the day. A draw looked inevitable in mid-afternoon. But then, as is so often the case in Test cricket, there was a dramatic twist. Wickets started to fall. Suddenly Sri Lanka were 170 for 5, with both their best batsmen (Sangakkara and Jayawardene) out. More wickets fell, but time was ticking away. Then came the last over, with Sri Lanka on 201 for 8. After five relatively sedate days everything now hinged on the final six balls. Broad struck with the first ball. Sri Lanka 201 for 9. Only one wicket needed for England to win. Could Sri Lanka hang on! Broad bowled to the tailender Herath. There was an appeal for lbw. Up went the umpire’s finger. 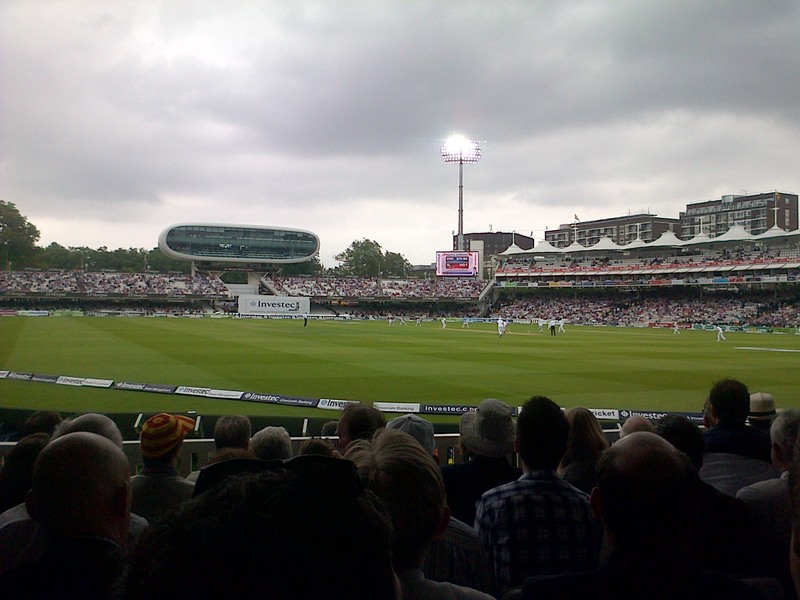 England had won with just a few balls left of the day’s play. Or had they? No. Sri Lanka used a review. Herath had hit the ball. Not out. Sri Lanka survived. Match drawn. It’s hard to explain to people who don’t know cricket how a game can last for five days and end in a draw, and that can be exciting. But great Test match like this one prove that it is true. Credit to both teams for playing their parts. 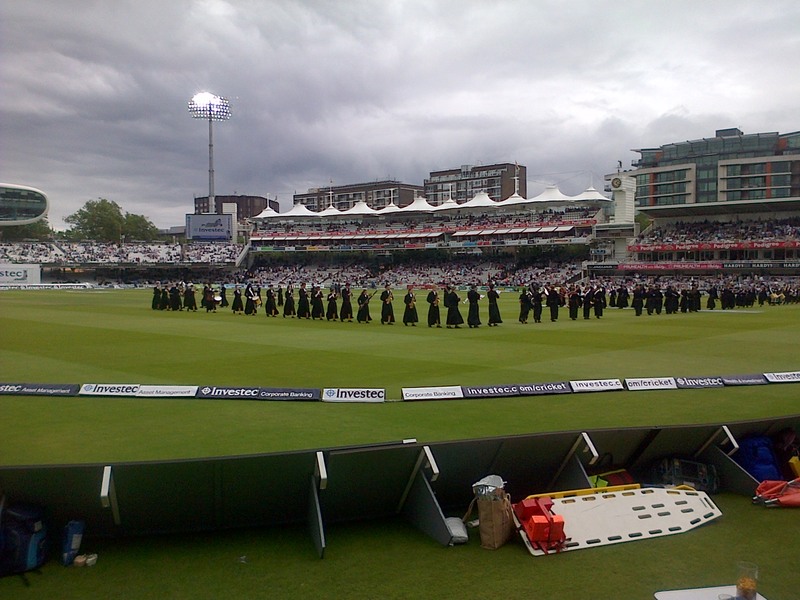 A Test Match is like a Symphony in which the slow movement is just as important as the finale. Without the five days preceding it, the drama of that final over wouldn’t have been anything like as intense.